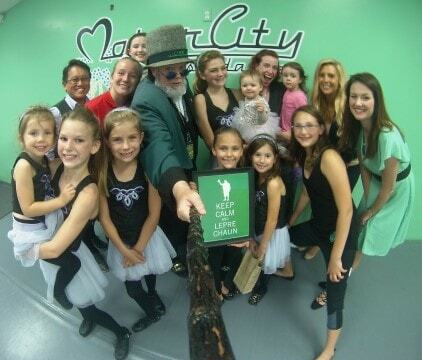 Motor City Irish Dance Academy is not like any other Irish dance school in Michigan. We are 100% performance-focused and emphasize the enjoyment of Irish dance for our students. This enjoyment connects our students to the rich Irish culture behind Irish dance while also creating an environment of cooperation and support within the school. We – the dance family – are ALL here for each other, both in and out of the dance studio. Our philosophy is to be welcoming and accessible to everyone, regardless of age or skill-level. Our Irish dance programs are carefully planned to provide an appropriate level of difficulty for continuous improvement. Our instructors meet everyone where they are at, but always encourage them to go a little further, step by step. We provide classes for both youth and adult students, along with specialty classes designed for early learning (1 to 3 years old) and home school students. Our goal is to give each student the highest quality instruction in traditional Irish dance while also stressing the importance of fun and fitness. All students are offered performance opportunities periodically throughout the year to showcase what they learn in class. Our Academy training ultimately prepares students with the skills and knowledge to become members in the Motor City Irish Dance Company – the Irish dance entertainment arm of our organization. Company training is often very rigorous with show choreography so the Academy foundational skills are necessary to keep up and maintain the high standards of the Company.